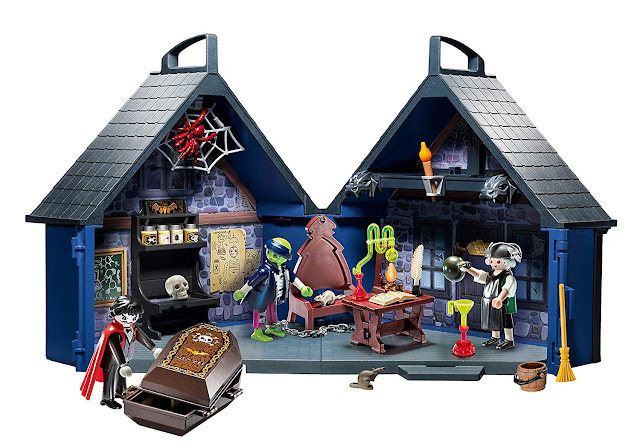 None of us are probably throwing a Halloween pool party in October (brr, too cold!) 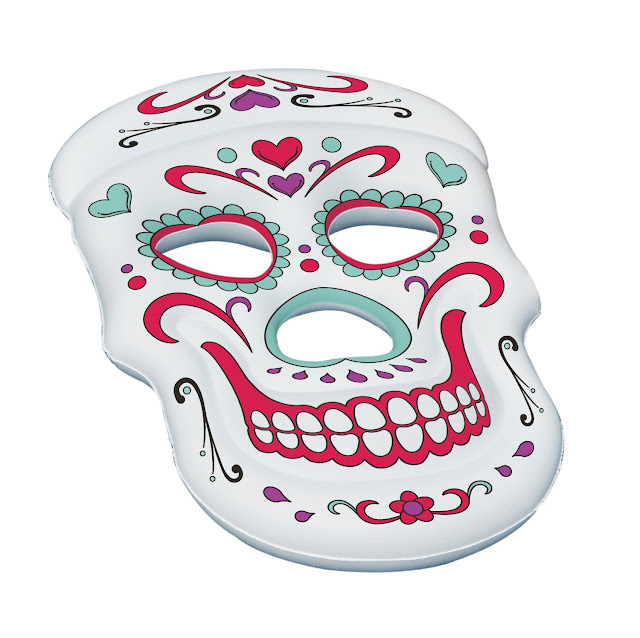 However, you could up the spook factor in your backyard pool this summer with this Swimline sugar skull float! 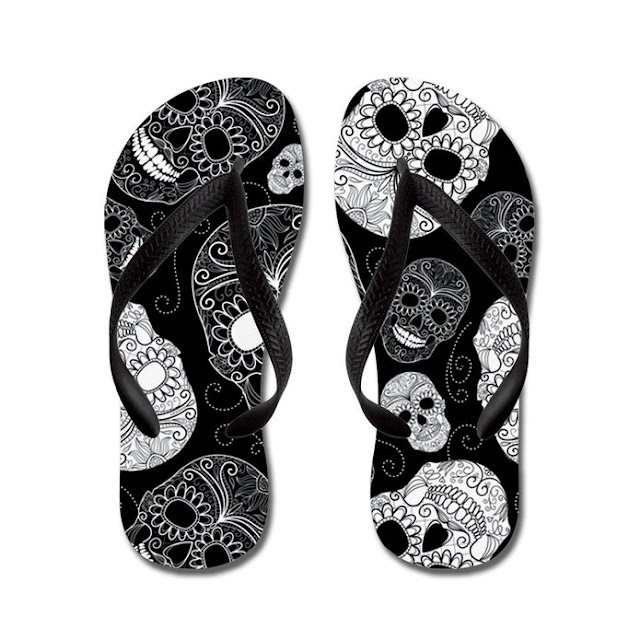 You can flip and flop about the pool or beach with these sugar skull sandals. 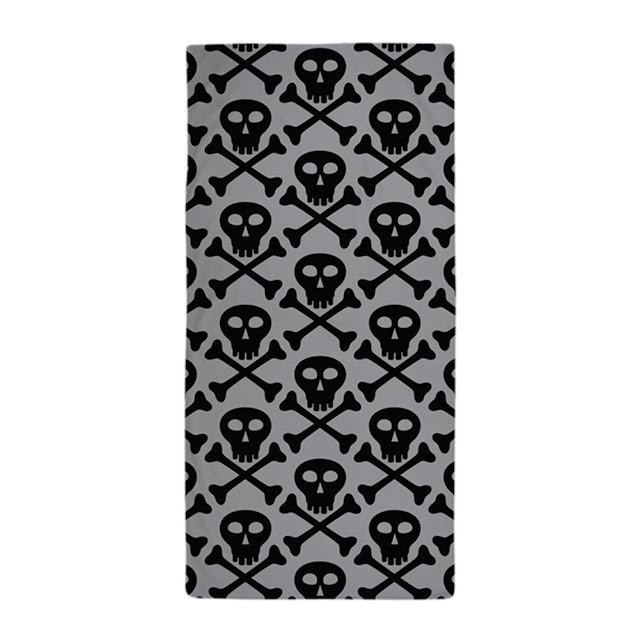 If you prefer more of a pirate skull theme, here's a skull and crossbones beach towel. 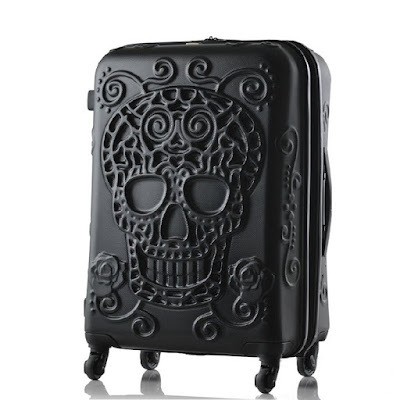 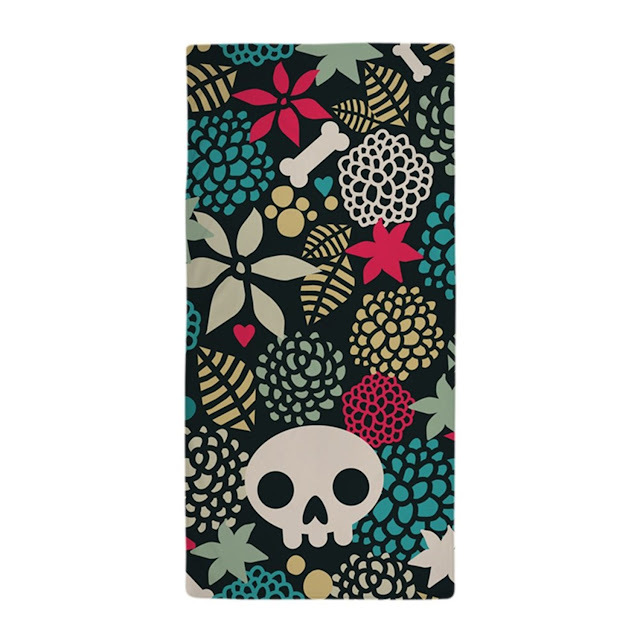 The same company also makes this colorful skulls and flowers beach towel, but I find it too gaudy and silly. 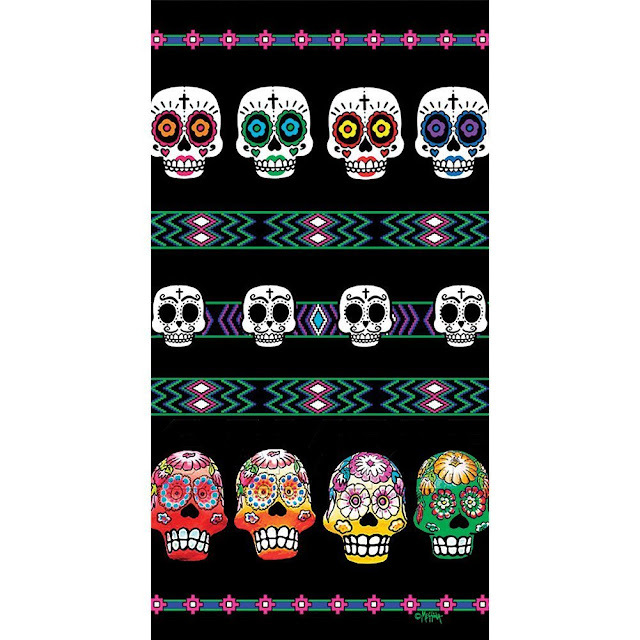 Here's a colorful sugar skulls beach towel I like a lot better.